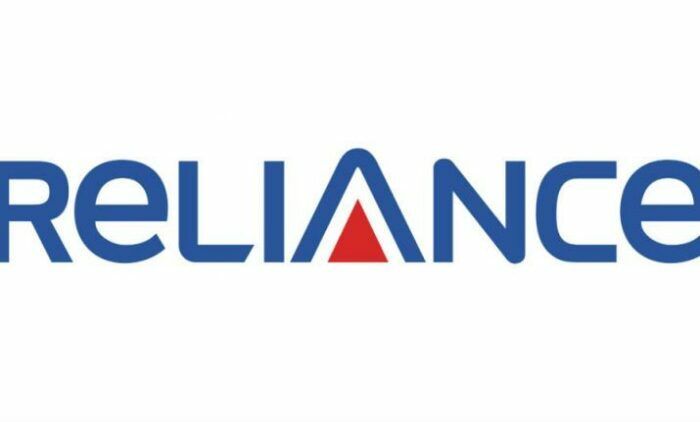 • Reliance Industries was founded by Dhirubhai Ambani in Bombay. He took it public in 1977 and by 2002, the company’s combined worth was $6 billion. • After the death of Dhirubhai Ambani in 2002, the two brothers inherited his business and separated in 2005. • Mukesh controlled older businesses like oil refining and petrochemicals, while Anil got control of newer businesses like power generation, financial services and the telecom business, which his elder brother expanded aggressively. • Mukesh was not allowed to enter the telecom business because of the non-compete clause, until 2010, when the agreement was scrapped. • As per 2017, the net debt of RCom stood at $7 billion, to the banks. • RCom closed its wireless operations in late 2017 facing heavy debts, falling revenue and widening losses. • RCom owed Rs. 1100 Cr. to Swedish Gear making company Ericsson, as admitted by the National Company Law Appellate Tribunal (NCLAT). • Sighting heavy losses and Bankruptcy, Rcom averted it by citing its deal with Jio and Brookfield, and agreed to pay Rs. 550 Cr. to Ericsson in the settlement. • Holding the second position in the telecom sector in 2010, RCom had a market share of more than 17 percent. But as of 2016, RCom’s market share has dwindled down to less than 10 percent and is nowhere among the top firms. • As of 2007, Anil had a net worth of $45 billion. But in 2018, his net worth is 2.44 billion. • The debt has piled up since 2009-10 from approximately Rs. 25000 Cr. to Rs. 45000 Cr. now. 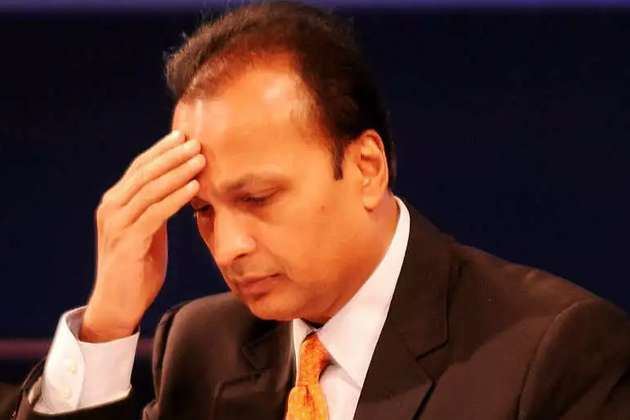 • As of 4th February, 2019 the stock of RCom plunged as much as 54.3 percent to 5.3 apiece in Mumbai Trading. 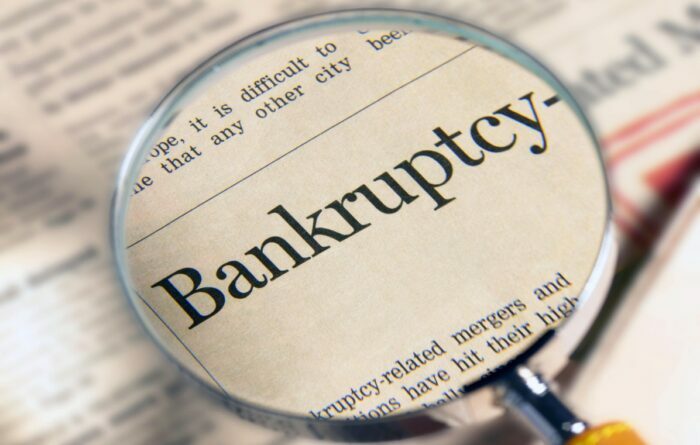 The stock has dropped to a record low after approaching the NCLAT for resolving its debt position. How does this help Mukesh Ambani? As RCom’s downfall was triggered by the entry of Mukesh Ambani’s Telecom venture Jio Infocomm, Mukesh Ambani could have even more leverage in bidding for the assets of RCom. 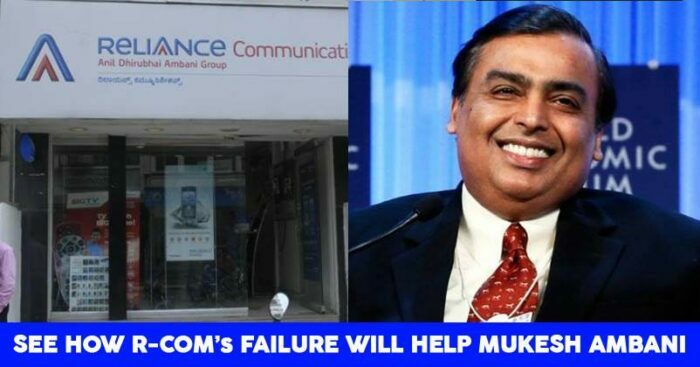 However, Mukesh can only bid for Rcom’s wireless carrier.